EgyptAir Flight 804 (MS804/MSR804) was a scheduled international passenger flight from Paris Charles de Gaulle Airport to Cairo International Airport, operated by EgyptAir, which crashed into the Mediterranean Sea on 19 May 2016 at 02:29 Egypt Standard Time (UTC+2). There were 66 people on board: 56 passengers, 7 aircrew, and 3 security personnel. A multinational search and recovery operation is under way. Wreckage from the aircraft was found in the Mediterranean Sea approximately 290 km (180 mi) north of Alexandria, Egypt. On 20 May, the Egyptian Navy and Air Force discovered debris, body parts, passengers' belongings, luggage, and aircraft seats at the crash site, 290 km (180 mi; 160 nmi) off the coast of Alexandria, Egypt. Two fields of debris were spotted from the air between 20 May at dusk and 23 May at dawn; one of them was 3 nmi (3.5 mi; 5.6 km) in radius. At this time, the searched area measured nearly 14,000 km2 (5,400 sq mi), with the sea being 2,440 to 3,050 metres (8,000 to 10,000 ft) deep there. 33°32′N 29°13′E﻿ / ﻿33.533°N 29.217°E﻿ / 33.533; 29.217, about 40 kilometres (25 mi) southeast of the last known location of Flight 804, on imagery captured by its Sentinel-1A satellite at 16:00 UTC on 19 May. On 26 May, it was reported that signals from the aircraft's emergency locator transmitter had been detected by satellite, which narrowed the area where the main wreckage was likely to be located on the seabed to within a radius of 5 kilometres (3 mi). An emergency locator transmitter usually activates at impact to send a distress signal; the signals are not the signals from the flight recorders (black boxes). The U.S. National Oceanic and Atmospheric Administration confirmed that the emergency locator transmitter signal was received by satellites minutes after the airliner disappeared from radar. A "distress signal" received two hours after the disappearance of the aircraft, possibly originating from the emergency locator transmitter, had been reported already on 19 May; this report was denied by EgyptAir. At the beginning of June, after "pings" from an underwater locator beacon of one of the flight recorders had been detected, a "priority search area" 2 kilometres (1 mi) in radius was established. On 15 June, Egyptian authorities announced that the John Lethbridge had identified several main sections of wreckage on the seabed. On 22 May, an Egyptian remotely operated underwater vehicle (ROV), owned by the country's Oil Ministry, was deployed to join the search for the missing aircraft. President Abdel Fattah el-Sisi stated that the ROV can operate at a depth of 3,000 metres (9,840 ft). According to Egypt's chief investigator with the Civil Aviation Ministry, Ayman al-Moqadem, the ROV cannot detect signals from flight recorders (black boxes). A French Navy D'Estienne d'Orves-class aviso ship, the Enseigne de vaisseau Jacoubet, equipped with sonar that can pick up the underwater "pings" emitted by the underwater locator beacons of the flight recorders, arrived at the possible crash site on 23 May. The French ship can deploy an ROV that can dive up to 1,000 metres (3,300 ft) and which is able to detect signals from black boxes but with limited depth range. On 26 May, Italian and French companies capable of executing deep-sea searches, including Alseamar and the Mauritius-based Deep Ocean Search, were asked by Egypt to help locate the flight recorders. A more specialized French Navy vessel, the oceanographic research ship Laplace, left the Corsican port of Porto-Vecchio for the search area on 27 May, according to the Bureau of Investigations and Analysis (BEA). The ship can deploy three towed hydrophone arrays made by Alseamar and designed to detect the beacons from a distance of up to nearly 4 kilometres (2 mi). On 1 June, the Egyptian Civil Aviation Ministry reported that "pings" from an underwater locator beacon of one of the flight recorders had been detected by the Laplace. This was confirmed by the French Bureau of Investigations and Analysis, whose spokesperson declared the establishment of a "priority search area". The John Lethbridge, a vessel belonging to Deep Ocean Search, equipped with a remotely operated underwater vehicle that can detect signals in depths of up to 6,000 metres (20,000 ft), and map the seabed, was contracted by Egyptian authorities. Capable of retrieving the black boxes from the seabed, it left the Irish Sea on 28 May and, at that time, it was expected to arrive at the search area around 9 June, after stopping in Alexandria to board Egyptian and French investigators. It arrived at Alexandria on 9 June and at the search area some time on or before 13 June. The underwater locator beacons, which were activated on 19 May, are designed to last for at least 30 days; the Egyptian board of inquiry said the signals would continue until 24 June. On 16 June, Egyptian authorities announced that the John Lethbridge had found the cockpit voice recorder, damaged, at a depth of 13,000 feet (4,000 m). The memory unit was retrieved intact and sent to Alexandria for investigation. The next day it was announced that the John Lethbridge had retrieved, in several pieces, the second black box—the flight data recorder. The memory unit was recovered from the damaged flight data recorder but an Egyptian official stated that the black boxes require extensive repair before they could be properly analyzed and accessed. 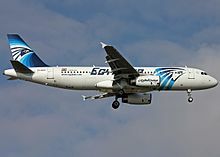 On 19 June, Egypt's Aircraft Accident Investigation Committee announced that they, with the assistance of the Egyptian Armed Forces, had completed the drying procedure of the intact memory modules and started electrical testing of the memory modules from both the cockpit voice recorder and the flight data recorder. On 21 June, officials involved in the investigation disclosed that the memory chips from both recorders were damaged. After the initial attempts to download data from both recorders failed, the Egyptian investigative committee announced on 23 June that both recorders would be sent to France's BEA to have salt deposits from the memory chips removed; the recorders would then be returned to Egypt for analysis. On 27 June, the flight data recorder (FDR) was declared to have been repaired by the BEA and was sent back to Cairo for data analysis. The Paris prosecutor opened a manslaughter investigation as a spokeswoman told the Associated Press that a preliminary accident investigation would begin as no evidence of an act of terrorism were found. Later the cockpit voice recorder (CVR) was also repaired and sent to Cairo.